Hinchingbrooke Health Care NHS Trust has today declared a ‘Critical Internal Incident’. This is due to it nearing patient capacity and the hospital is urging people to consider whether heading straight to A&E is the right place for their illness or injury. 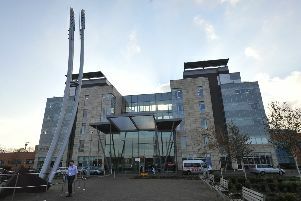 The hospital continues to see an increase in demand for its services and despite the best efforts of staff, patients are waiting much longer than usual to be assessed and treated. This has been compounded by a significant number of patients attending for treatment who could have sought medical help from other NHS services. On Monday, February 6, 145 people attended the A&E department, a 16% increase to usual levels, and earlier in the month the Trust experienced one of its busiest days ever, with 150 attendances to the department. Phil Walmsley, Chief Operating Officer at Hinchingbrooke Hospital, said “This week is proving to be another very challenging one for our Emergency Department. “We are currently experiencing a high level of demand for our services, including a significant number of patients attending our A&E department who could have been treated elsewhere. “I can’t state strongly enough the importance of people using our services responsibly. A&E is for emergency or life-threatening health concerns only, and yet we are still seeing people arrive in the department who simply shouldn’t be there. “Please remember that if you are unsure if A&E is the right place for you to be treated, seek advice from your GP, pharmacy, minor injury and illness unit or call NHS 111. PHARMACY: Your pharmacy can provide confidential, expert advice and treatment for a range of common illnesses and complaints without having to wait for a GP appointment. NHS 111: This service has been introduced to make easier for you to access local NHS healthcare services in England. NHS 111 and easy way to get the right help, whatever the time. NHS 111 is available 24 hours a day, 365 days a year. Calls are free.